With the UK heatwave in full swing and the Summer Solstice coming up this week, it seemed appropriate that the latest Holdsworth’s removals blog explored how summer takes effect on the removals industry as a whole. It isn’t a very well-known fact but removals is a seasonal business so to ensure that our customers are fully aware of this and can plan as much as possible, we wanted to outline how the summer months affect us as a removal company. As mentioned previously, removals is a seasonal industry and the summer months are when things start to get busier. There are many reasons for this. More simply it could be put down to having better weather to carry out the move but it also could be down to the school holidays and having more time to carry out the move. This brings slightly different approaches to the move on a customer level and as a removal company. The main difference is the advance of bookings. During the summer months removals companies can be fully booked a week or at least two weeks in advance. While in the winter you might be able to arrange, pay and carry out the removal within a few days. This is unlikely to happen in the summer so ensure that your removal can go ahead by getting organised and keeping in touch with your removal company. On move day itself, the brighter and warmer weather makes things a little different. Not only do our removal crews ditch their trousers for shorts but they will need plenty of hydration breaks. But this will not stop them from implementing their effort and skills when carrying and loading your items. Each of them is fully trained and has the expertise required. And we are pretty confident that they are happier in the summer weather than the winter weather! At the start and end of summer there are always students requiring moves up and down the country and sometimes internationally. Sometimes a professional removal company is not necessary for these types of move, a van hire or man and a van service can be a bit better suited. But that doesn’t mean you shouldn’t enquire and get a free no obligation quote from us just to check. We will provide you with the advice you need. 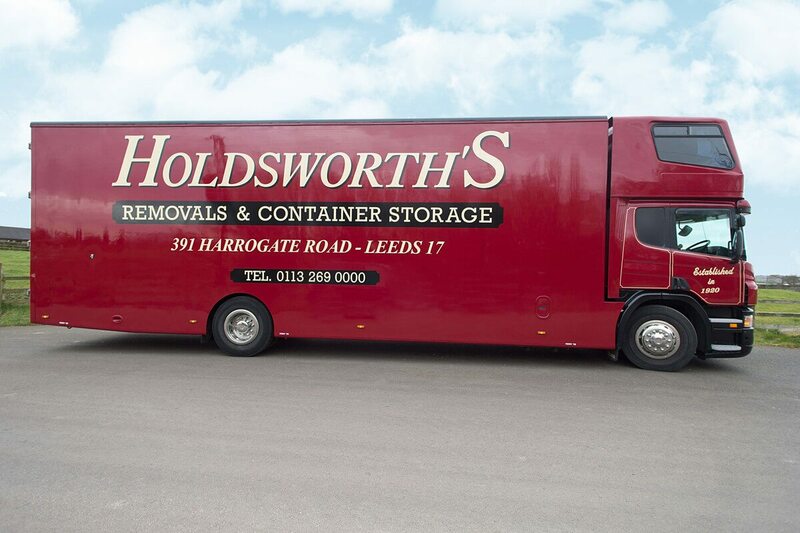 Holdsworth’s of Leeds can also help out with student storage options as well.